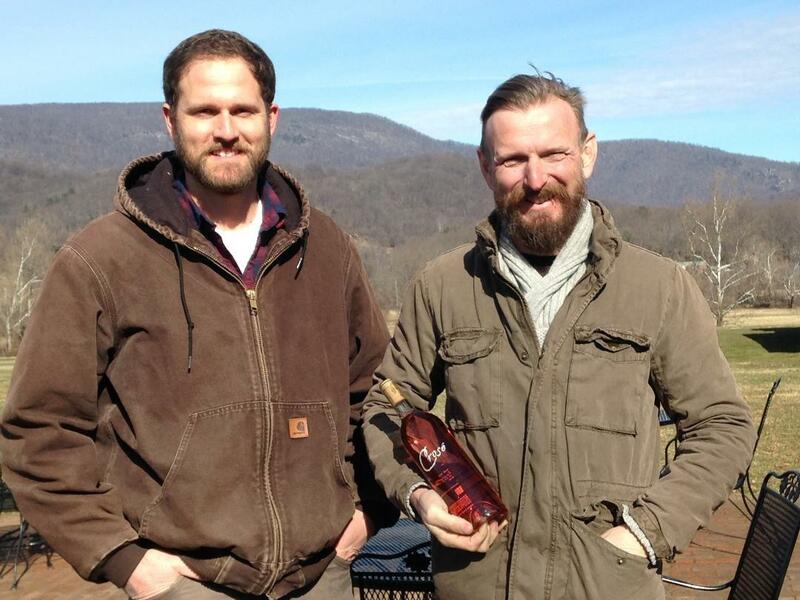 Virginia’s wine industry has a surprising ally -- a 36-year-old man who’s expertise lies not in farming or wine-making. Ernest William Beasley IV, AKA Bubba (left) with the winemaker at King Vineyard, Mattieu Finot. For years, wine-lover Thomas Jefferson tried without success to grow grapes. Today his home state is producing award-winning wine thanks, in part, to one man. Ernest William Beasley IV – better known as Bubba -- got the nickname as a joke, but it hasn’t discouraged clients like Matthieu Finot – the winemaker at King Vineyard in Crozet. “I don’t judge people by their name. I judge people by their quality and what they’re able to provide. He delivers,” Finot says. That’s because Beasley is a geologist – an expert on rock and soil. For a price, he will study your land using satellite images and advanced sensing technology. “It all looks pretty uniform, but a lot of times what we find when we map the area is it will be underlain by two or three distinctly different kinds of soil,” Beasley explains. He finds that in Virginia, where rain is plentiful, the best soil is studded with rocks, so vines don’t get too much water. Like Merlot, Cabernet Franc and Viognet – grapes that grow especially well in clay-rich central Virginia. Winemaker Matthieu Finot says that knowledge can save growers money and time. And that’s time modern winemakers don’t have to waste. Which brings us to the question of why Jefferson never realized his dream of making wine here. Some believe the vines he imported from Europe died en route to the new world, but Beasley disagrees. He notes that Europe had to replace many of its vineyards in the early 20th century, because an insect native to the Americas was accidentally imported. That bug devours the roots of grape vines, and in the absence of Bubba Beasley, Jefferson did not know that Philoxera was likely dashing his dreams of decent American wine. A Virginia Tech geography professor and his partner who’ve traveled the world, researching interesting wines from different regions, are bringing them home to Blacksburg. Two months ago, they opened “The Wine Lab” on Turner Street. And they’re looking to foster a community of education and experimentation around the world of wine.